Dr. Linus Pauling associated with Nitinol and Roswell? Bragalia claims that Pauling had a 1. “massive” UFO library. Looking at the on-line catalogue of his personal library, he had only five books that directly discussed UFOs (out of over 4000 books), which is far from “massive”. stated that he was told by Dr. Robert Paradowski that Pauling had the entire collection of Bluebook reports. what was written. According to the author of the Pauling Blog, “As can be expected, claims that defied conventional science readily drew Pauling’s criticism.” Dr. Paradowski also stated Pauling was skeptical, at times, about UFOs. The most worn book appeared to be the Condon Study, which was not marked by Pauling. Did this mean Pauling felt the Condon study was an adequate evaluation of the UFO issue? One would think he would have marked up the book heavily (the same way he marked up the other UFO book) if he disagreed with its conclusions. is probably his ideas on the subject and how he would approach the problem. put it there because of Roswell or just because the page is the first page in the chapter that talks about physical evidence? This is one of the links Bragalia makes to Pauling with Roswell. The final link is a letter sent to Paul4. notebooks seem to be blank regarding SMAs as well. There is little to indicate that Pauling was involved with Battelle in any significant way. There are certainly no indications he knew anything about a crashed spaceship. was not the kind of individual who would keep this secret. Suggesting he was involved in such a conspiracy based on some vague connections is not giving the man the respect he deserves. with what people were reading in the “memo”. He now has discovered that one line mentions what appears to be the words “Warren Haught Public relations officer”. The misspelling of Haut’s name existed in several news stories from the time period. Additionally, Walter Haut’s name would probably not be misspelled in a classified memo and definitely not the same way the media misspelled it. If this is accurate, then the whole Ramey memo secret message story is closed. about doing this. One might even consider it “scientific” to look at it from a different perspective. After all, what has looking at it from the conspiracy point of view accomplished? UFOlogists don’t want the problem resolved at all. James Bond Johnson interviews on-line. testimony of Jesse Marcel Sr. over the years. In early interviews and in the film, “UFOs are real”, Marcel stated that some of the debris was seen in the photographs. is the interview Marcel gave to Linda Corely, where he stated, the debris was in the photographs but it was underneath the balloon debris and brown wrapping paper. this possibility. Instead, they choose to take the later statements as accurate and the earlier statements as misquotes or foggy memories by Marcel. Like most things associated with Roswell, the truth will never be known and there is always some sort of wiggle room for those trying to push the crashed spaceship scenario. Roswell Chaplain added to crashed spaceship mix. 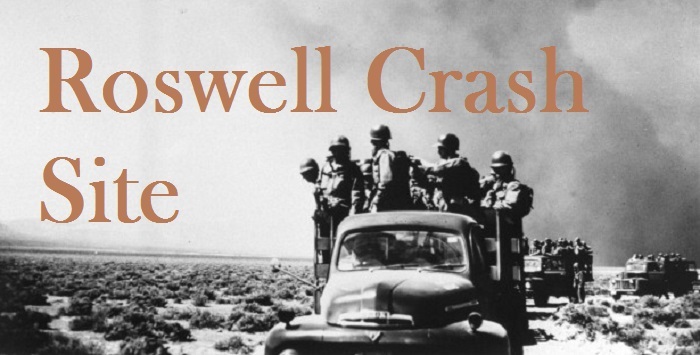 Anthony Bragalia’s new revelation has to do with a Baptist Chaplain stationed at Roswell in early July 1947. According to Bragalia, the chaplain was relieved by a Catholic Chaplain on 10 July 1947 and then sent to the Pacific somewhere. He states it was sudden and without warning but provides no evidence to confirm this. I am curious as to how long the Chaplain had been stationed at Roswell before this. Could it be that it was just a normal transfer? It seems unlikely that just a few days after the debris was supposedly recovered that a Catholic Chaplain would magically materialize all the way from New Jersey without some prior planning. However, it is Roswell and anything is considered possible no matter how unlikely. I think I would want to see some better evidence than Bragalia’s say so since my past experience has been that he tends to leave important details out. Maybe in his next expose on me, he can scan the documents and present them for all to examine. I originally wanted to put this in the Roswell corner. However, Mr. Bragalia’s expose about being “stalked” forced me to write an article so I can lay out my case and present some issues he chose not to tell. I terminated the exchange. I had already become aware of an issue with the photograph showing Shiprock, N.M. but I chose not to bring it up because of his attitude. How did a trip to go look for a “meteorite” in November 1947 turn into “Food for Navajos”? to once again present evidence that supported the claim of the Grants. also brought up three points he felt my readers should know3. The issue of Shiprock was specifi1. cally and directly addressed over two and a half years ago by Mr. Bragalia with the Grants. This was a private e-mail which was never published or mentioned to me in previous exchanges. The idea it was a “Food for Navajos” story is just more evidence that there is confusion about dates and places. appears to be on Grant’s part. Mr. Grant published a photograph that had to do with a meteorite hunt at Shiprock and it was presented as an image from his Roswell hunt. They have since changed the story about the photograph twice according to Bragalia! For people who were so “detail oriented”, they seemed to get confused about the details of when the photographs were taken. on the UFO Iconoclasts website. and demonstrated his reasoning/research was flawed. about the “food for Navajos” explanation. He also added that I admitted an error but I could not find this statement in my e-mail so I am not sure what he is talking about. In follow-up correspondence I asked the Grants if there was any way possible that they were confusing the Shiprock, NM meteor hunt in November with Allan’s flight to the Roswell area in July of 1947.... In the Shiprock visit in November, Grant explained that he was not alone- he was met by Dr. Lincoln LaPaz and Boyd Wettlauffer. he never mentioned or presented the “follow-up correspondence”. In a later exchange initiated by Bragalia, I brought up some of these issues with him regarding this “rebuttal”. I asked how he figured I was “stunned silent” even though I responded with a query less than one hour later and if he could provide me evidence of this correspondence where the November 1947 meteor hunt was revealed. that what he was going to say could not be stated in public. Still missing was the evidence that Bragalia discussed the meteor hunt in November 1947 with the Grants before I published my article or an explanation of how I was “stunned silent”. In addition to his article regarding my “stalking”, Mr. Bragalia told me he was going to various forums to tell everybody about the falsehoods I have been spreading. his evidence, he chose not to answer any questions and left the forum. Case is still closed unless…..
is now stating that there were TWO 1947 meteorite hunts in New Mexico that Grant attended but did not publish. One was highly publicized. The other was never mentioned in the press but had a publicity logo on the side of the plane. Looking at this information, it still seems very likely that the November 1947 event is the source for this story told by Grant. the case still remains closed. 1. Bragalia, Anthony. E-mail to the author. 5 September, 2009. 2. Printy, Timothy. E-mail to Anthony Bragalia. 3. Bragalia, Anthony. E-mail to the author. 5 September, 2009. Foster Ranch off limits to hideevidence? probably not that big a deal and I would not be surprised if other land was under similar restrictions. site identified by Bill Brazel. The result was that nothing “alien” was ever discovered. involvement (i.e. large tractor trailers, trucks, etc). So where is the actual evidence of the crash? figured this was the case. for this, but I decided to try anyway by placing my balloon materials on some wood and exposed it for about a month. see what I got after a month or so. Moore used to demonstrate. However, there was a characteristic that I did not expect. stretch it. If I were told this material came from a balloon, I would have doubted it. It just could not expand in any way and did not feel like a balloon. like metallic cloth. The material I have does not exactly match this description but it did have the characteristic that “It wouldn’t hold any air”.